Power couple, Jay-Z and Beyoncé, drop their art-inspired video, MIXXLIST takes a look at other videos which go the extra mile. Music videos are more than just a way to complement a catchy track, these days, along with the lyrics, they aim to have a deeper meaning paired with unforgettable visuals. This week, Jay-Z and Beyoncé dropped a surprise joint album, ‘Everything is Love’, along with a video for their newest single ‘Apes**t’. 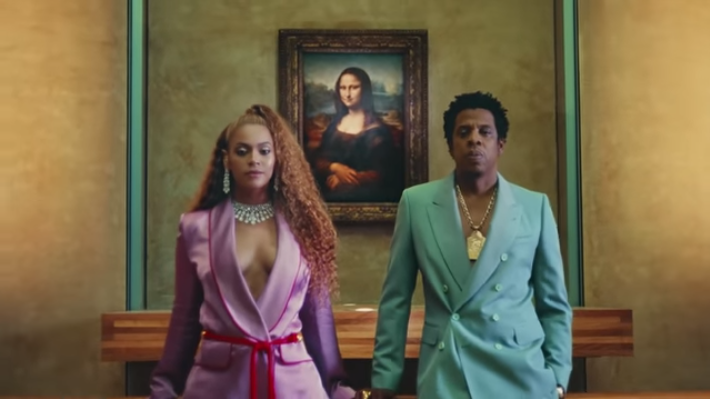 The video instantly went viral as the couple paraded around the infamous art gallery The Louvre, teamed with contemporary dancers, colonial art collections and pastel-coloured blaxploitation-inspired power suits. Vocally Beyoncé dominates the track with her rap skills, hype man Jay-Z contributes to two verses and sounds of Migos’ Offset and Quavo can be heard in the background. Whilst the power couple rap about their luxurious lifestyle and riches, they feature iconic paintings of ‘The Raft of the Medusa’, the ‘Portrait of Madame Récamier’ and the ‘Portrait D’Une Négresse’ to speak of colonialism and slavery. Jay-Z and Beyoncé aren’t the only artists to release a song accompanied with a powerful video, last month Childish Gambino unleashed ‘This is America’. The video is laced with metaphors about gun violence and race issues in America, and though Gambino gets down to trending dance moves, he cleverly distracts the viewer from the all the chaos behind him. In light of the #MeToo and #TimesUp movement, the push for girl power has been seen through many videos released this year. Marking 2018 as the rise of female empowerment, both Drake and Maroon 5 have dedicated their videos to women this year. Drake’s ‘Nice for What’ samples the iconic Lauryn Hill and video features Yara Shahidi, Tracee Ellis Ross, Issa Rae, Jourdan Dunn, SYD, Zoe Saldana and others. Maroon 5’s ‘Girls Like You’ featuring Cardi B, also features a star-studded cast, from Jennifer Lopez, Mary J. Blige and Aly Raisman to Camila Cabello, Ellen DeGeneres and Lily Singh. Artists often use throwback visuals for their videos, let’s take Bruno Mars’ ‘Finesse’ staring Cardi B — the video pays homage to the TV series ‘In Living Color’ and is filled Nineties nostalgia. This was recently seen in KYLE’s ‘Playinwitme’ featuring Kehlani, the video has the same ’90s vibe and opens with a dating show called Playinwithme and the contestants compete to take Bianca out. Turns out, a bit of nostalgia triggers that warm fuzzy feeling within us! 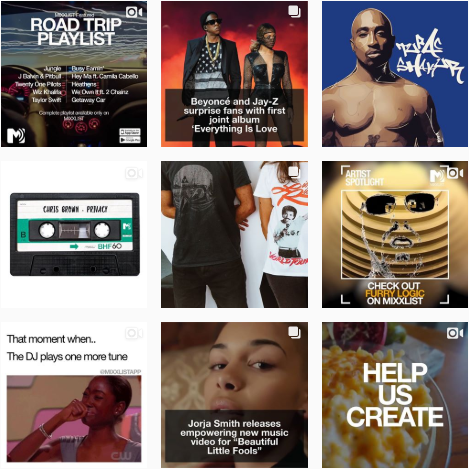 Head over to MIXXLIST’s Instagram and let us know which of these videos you liked the most or create your own playlist on MIXXLIST that feature the best music videos of all time.